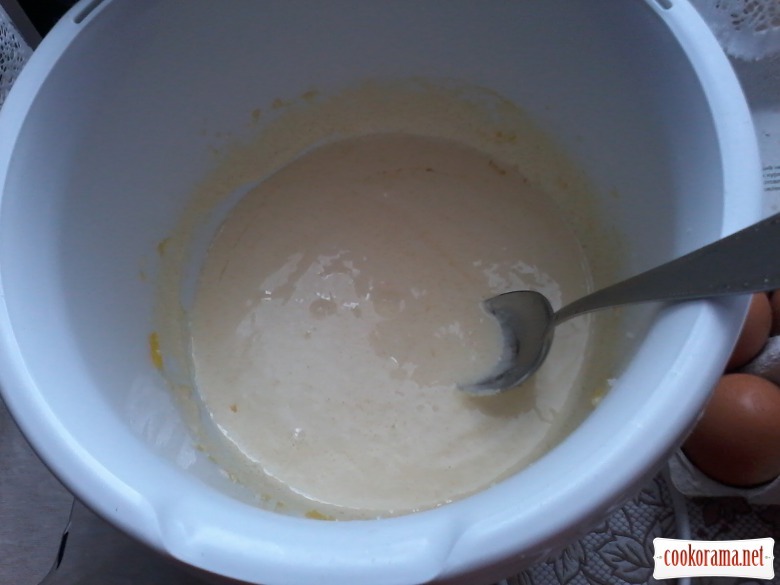 Dough: 4 yolks, 1 gl of sugar, vanillin – mix well. add 400 g of flour, pack of margarine (melted margarine), cookie powder. Knead dough. Divide dough in two parts. Spread on baking sheet, covered with parchment paper. 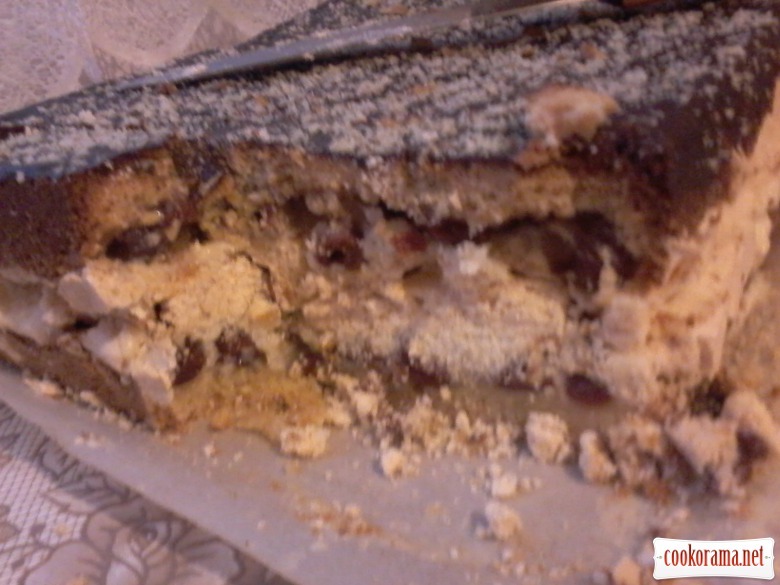 Thickness of dough at about 2 сm. 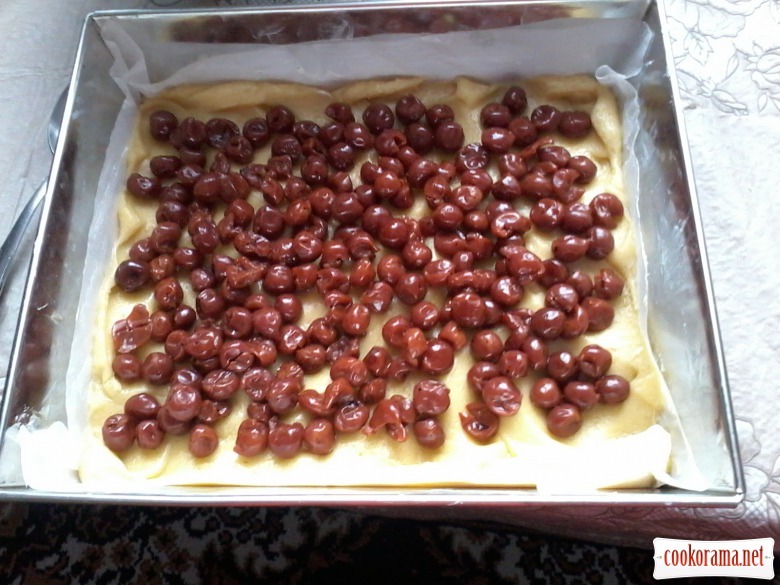 Top with cherries, if you want, sprinkle nuts. 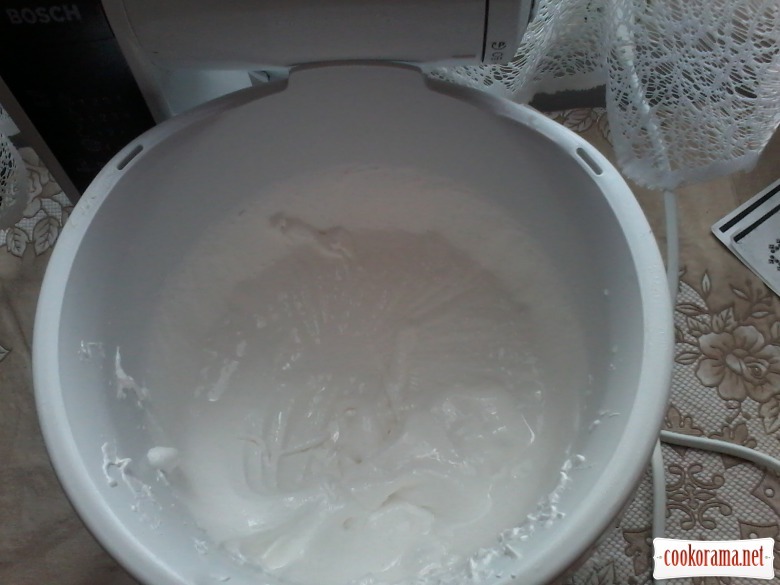 Meringue: 2 gl of sugar, 4 whites – mix into thick foam. 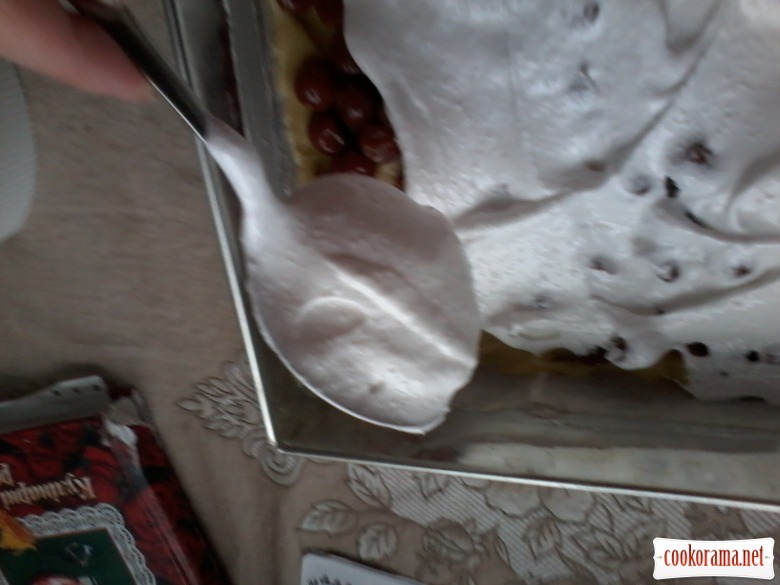 Put meringue on cherries evenly. 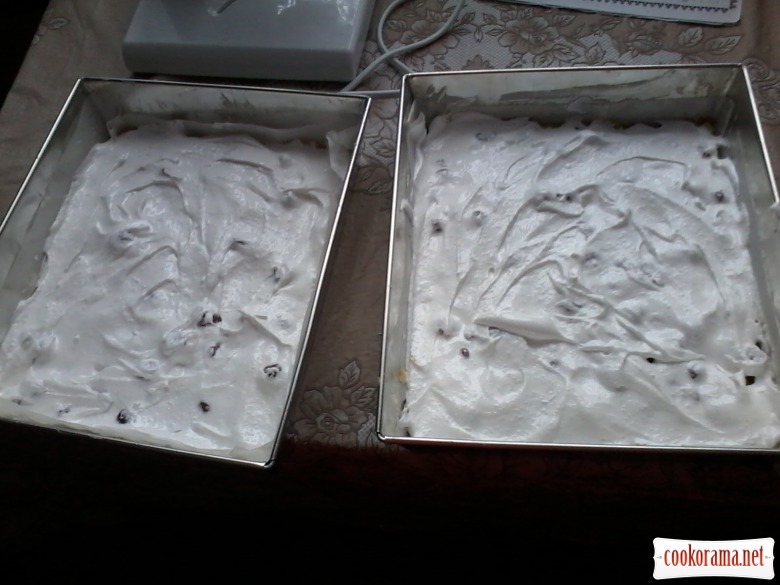 Now cake is ready for baking. 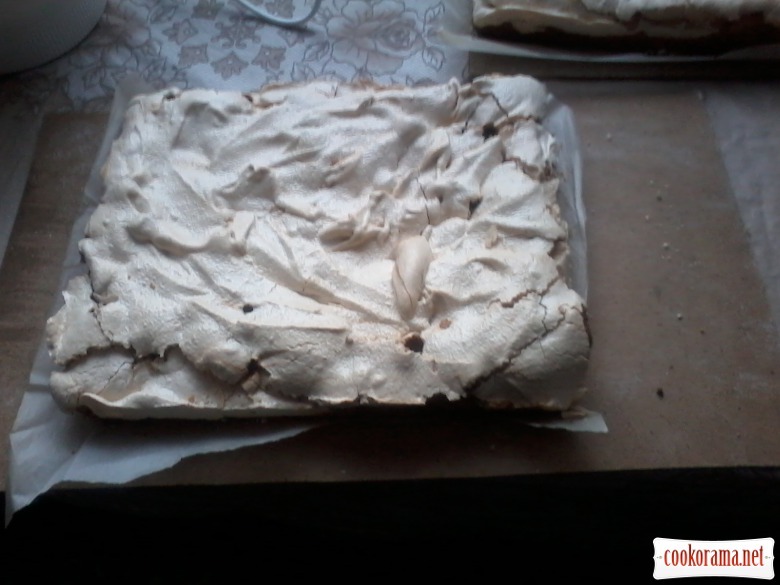 Bake for about 1,5 hour, to dry meringue totally. Once flat cakes cool down, smear with any liquid cream. 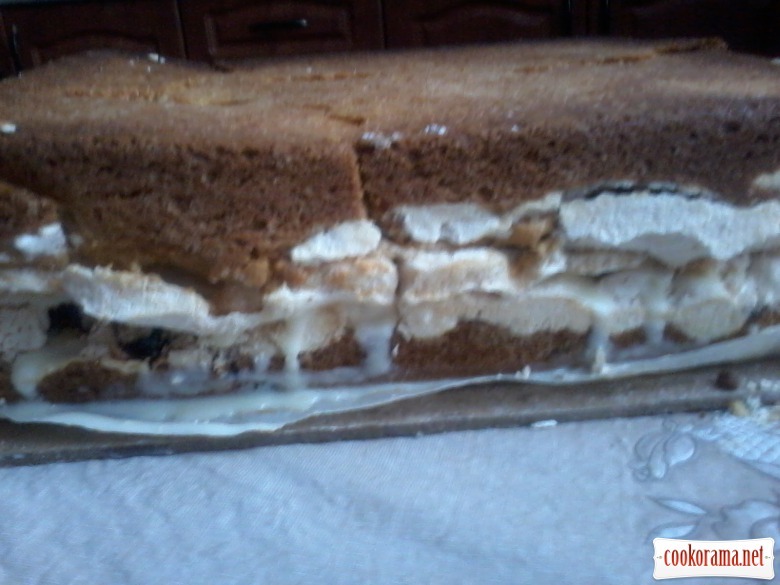 That`s how I smeared: tin of condensed raw milk + 3 tbsp of boiled condensed milk +150 g of butter. 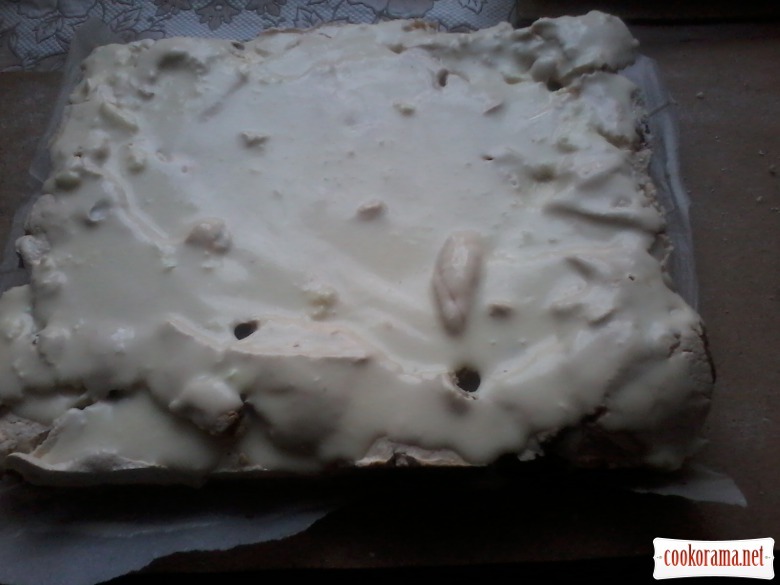 Put cream on meringue on two flat cakes!!! 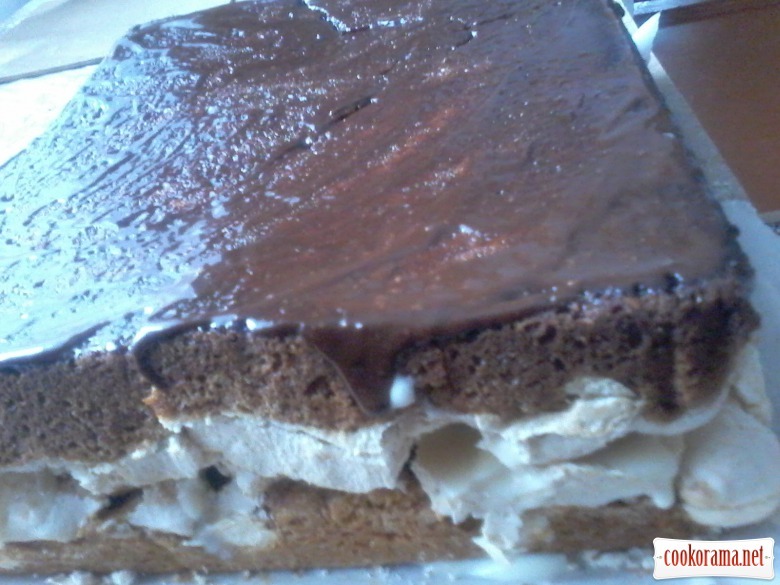 Carefully turn one cake and put the other upside down, so that the meringue is in the middle. Pour chocolate on top, sprinkle with nuts. Let it stand for a night, not in the fridge!!! Cake is very gentle and tasty! 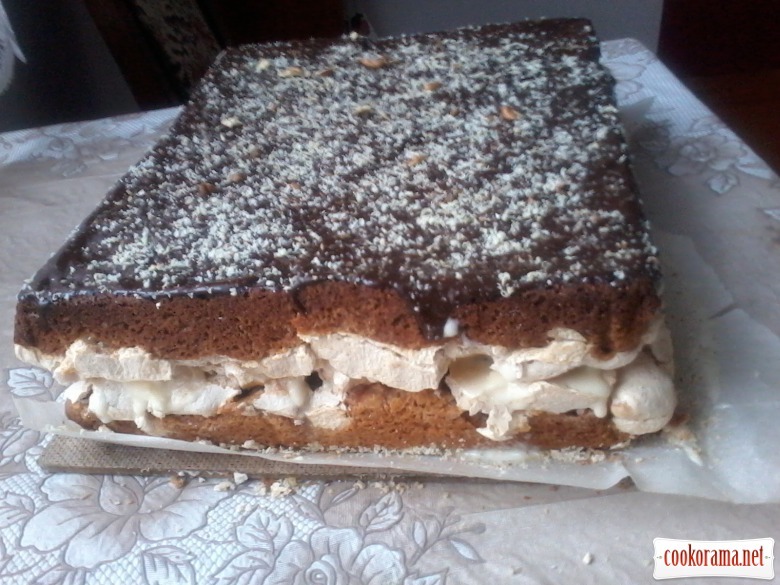 Top of recipe "Cake "Cloudlet""